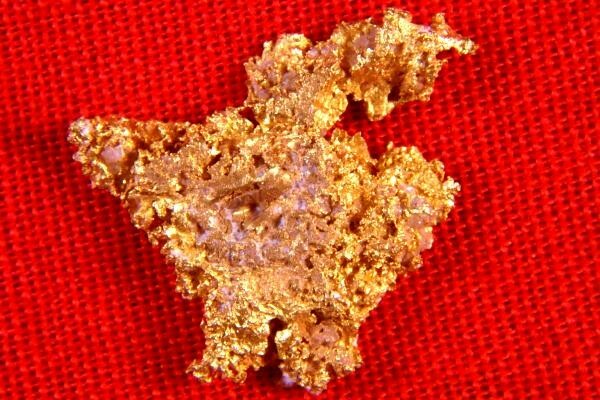 This is a very rare Australian Reef Gold Nugget from Australia. It was found in an old quartz reef off the Australia Coast. The shape is very interesting and resembles a chicken. We only have a couple pieces of this reef gold left and we cannot get any more. It is so rare that I have only seen it one time about 10 years ago and I have not been able to get any more since. 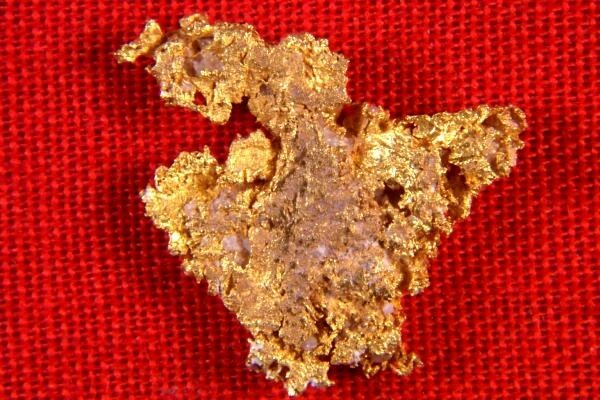 This rare gold nugget weighs 18.3 Grains (1.18 Grams). The size is 1/2" (13 mm) long. It has a little bit of quartz still attached from the reef. Collectors and investors love this type of gold due to it's rarity. It is not often that you find this type of gold nugget for sale.